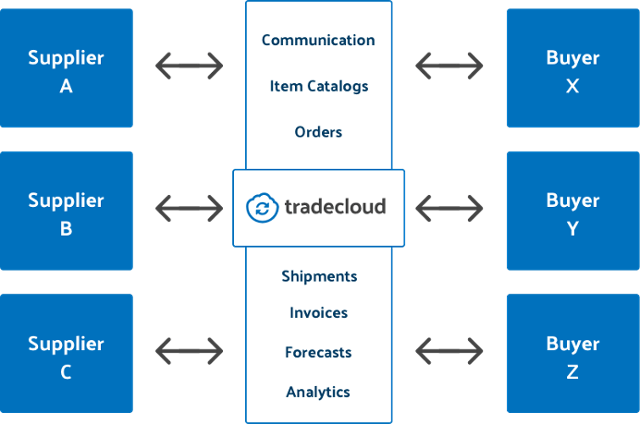 In the next release Tradecloud will introduce real-time supplier performance. This functionality makes it possible for buyers and seller to have direct insight in the delivery performance. As buyer you can view and compare the delivery performance of all suppliers so you can identify potential issues. 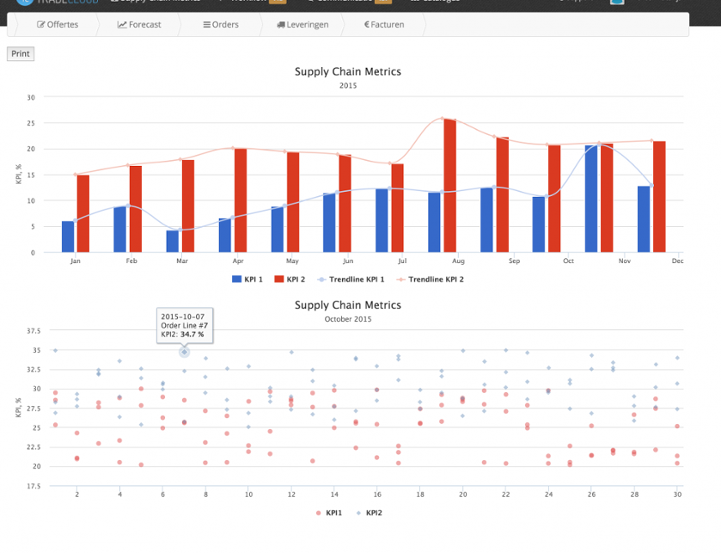 As a supplier you can view your own performance over the last 12 months. How are the KPI’s (key performance indicators) calculated? Both indicators are shown as percentages, ranging between 0 and 100%, where 100% indicates the supplier is always delivering as requested/confirmed. To calculate these performances we distinguish between a delivery too early and a delivery too late. Where denotes the impact a deviation has on the KPI. 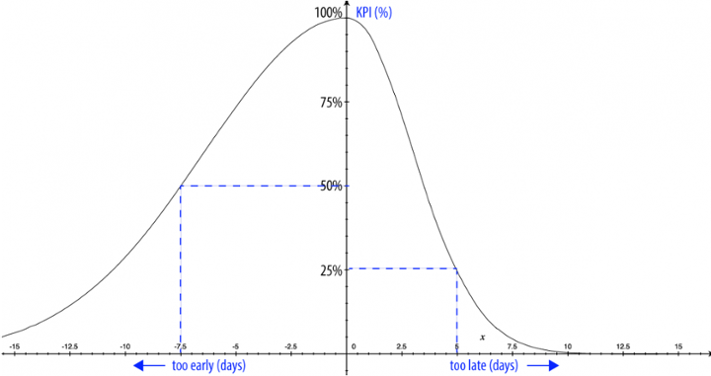 The graph below shows the 2 curves of the KPIrequested, where a delivery too early has less impact on the KPI than a delivery too late. Figure 2: KPIrequested graph, the performance is 50% when 7.5 days delivered before the requested date and 25% when delivered 5 days to late. For more information on delivery-performance-index is available in Dutch on the website of Mutatis-Mutandis.